Brazell to present at 2019 New York State Bar Association Meeting - Environmental Design & Research, Landscape Architecture, Engineering, & Environmental Services, D.P.C.Environmental Design & Research, Landscape Architecture, Engineering, & Environmental Services, D.P.C. 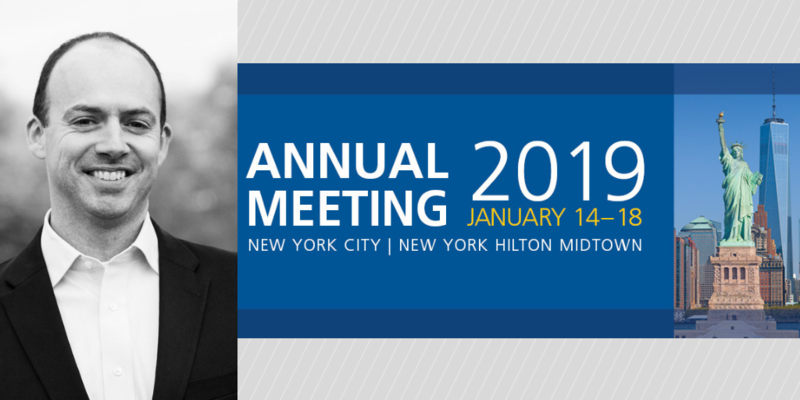 Ben Brazell, Director of Environmental Services for Environmental Design & Research, Landscape Architecture, Engineering & Environmental Services (EDR) is presenting at the 2019 New York State Bar Association Annual meeting in Manhattan. His presentation takes place during the Environmental and Energy Law Section of the annual meeting, and he will be a member of a panel that discusses “Evolving Energy Issue – Implementation of NY’s Clean Energy Programs; Surmounting the Program of Siting Clean Energy Project.” Brazell will be discussing the process associated with siting wind and solar projects in New York under Article 10 of the Public Service Law (PSL). Brazell has nearly 20 years of environmental consulting experience and has been directly involved in the environmental review and permitting of dozens of commercial wind and solar power projects across several states including New York and Ohio. His expertise includes environmental impact analysis, Article 10, and SEQRA compliance in New York, Ohio Power Siting Board compliance, state and federal wetland permitting, and overseeing large-scale, complex regulatory permitting processes. Under his direction, EDR is currently working on 12 projects that fall under the jurisdiction of Article 10, including the Cassadaga Wind Project, which represents the first project to submit an Article 10 Application and the only project to receive a Certificate of Environmental Compatibility and Public Need from the New York State Board on Electric Generation Siting and the Environment. EDR, founded in 1979, is a certified woman-owned consulting firm providing Landscape Architecture, Engineering (Site/Civil, Water/Wastewater), Environmental Permitting, Community & Land Use Planning, Ecological & Cultural Resources Management, GIS, and Visualization services. EDR has offices in Syracuse, Albany, and Rochester.